Steve Hatch Racing was founded during Steve’s career as a professional off-road Team Suzuki rider. Having the reputation of the most physically fit rider in the sport, the original formation was intended to document Steve’s personal training regiment into a booklet for elite athletes. Over the remaining years of his career, it became apparent that physical training was only one aspect of the much larger system of professional riding. Since 1997, SHR has evolved into a complete training, coaching, and mentoring system; adapted from 18 years of being in the industry and racing professionally. 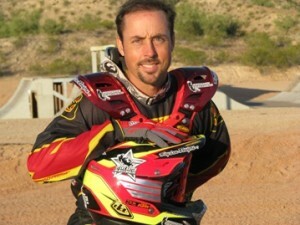 Steve Hatch is one of the most-popular riders on the American off-road scene with his kind demeanor yet ferocious riding style. 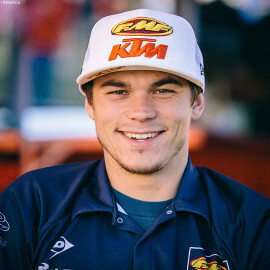 He has been a Factory Pro off-road racer for the last 18 years, he has raced for Factory Suzuki, Factory Kawasaki and now has support in retirement from KTM. He has a passion for winning and now he wants to help you become a better rider through his video training or one of his 3 riding programs (riding clinics, training, and chiseled into a Champion program). If your desire is to become a Factory star, beat your friends on the trails or tracks or just to be a safer rider, Steve Hatch Racing has the programs to get you to your goals! For more information and cool picture of Steve, click the button below! 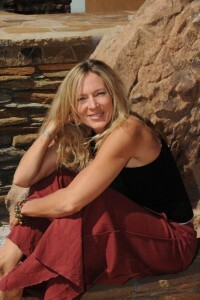 Denise Hatch a Certified Anusara® Yoga teacher with an education in mind sciences. She specializes in yoga, bio mechanical alignment, rehab and yoga therapeutics, as well as mental focus for sports performance, and performance in general. Weaving mind science into movement, Denise harnesses the power of the mind and heart and weaves it into the body. Denise has studied and taught in the fields of exercise physiology, kinesiology, nutrition and mind sciences since 1980. Denise was an All American NCAA Diver for the University of North Carolina, competed in Worlds in Outrigger Canoe, and a competitor in triathlons and more. Denise works with Steve Hatch Racing and also teaches at Athletes Performance Institute where she works with MLB players, US soccer team, NFL, motorsports, and pro golfers. She teaches in hospitals, corporations and is managing director at Bodhi Coyote Yoga in Cave Creek, AZ, where she works with individuals in yoga, yoga therapy and functional biomechanics. She also works with athletes and individuals on mental focus including Yoga for Golfers School of yoga and many top athletes including Special Forces. To help riders reach their goals in riding and in life. To facilitate growth in the sport of dirt bike riding and in the individual. To provide a platform for like-minded individuals to communicate and share their experiences with riding and racing. 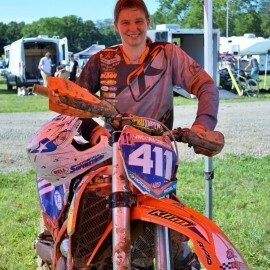 Ryan is a very driven individual; his transition from MX/SX to Off-Road was a huge undertaking and learning curve, but he never gave up on his goal. Winning the 2015 International Six Days Enduro is proof of his commitment to being his best. SHR has been honored to be alongside Ryan during this journey! From an early age, Taylor has always strived to learn something new every single time he threw his leg over a motorcycle. His eagerness to work on his weaknesses and his calculated and insatiable determination to get better are what have got him to the level he is at today. SHR is proud to have helped Taylor cultivate his talents. Rachel is extremely focused, mentally and physically tough, and determined to win. Already in the upper-echelon of the sport with ISDE medals, EnduroCross wins, and GNCC podiums, SHR is poised to help groom Rachel into the Next Big Thing in Women’s Off-Road racing. Already one of the best riders in the world, Kailub Russell is never content to rest on his laurels and accolades. Even as the man to beat in the GNCC series, Kailub still strives to get better and improve himself. In the past, SHR has been a part of the push that has kept Kailub two steps ahead of the competition. Steve Hatch has become the premiere off-road dirt bike coach and recognized world-wide for his uncanny ability to build champions. 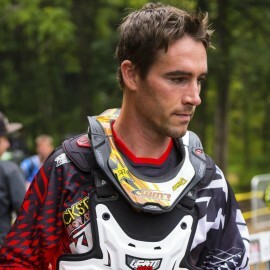 As a factory Suzuki off-road rider with multiple national championships, Steve has experienced the highest level of success. 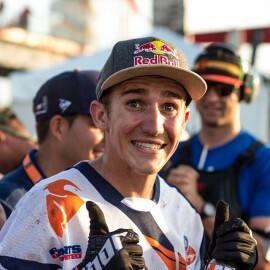 He has continued this with a A-list of riders, some of whom include GNCC and National Enduro champions, Endurocross Main Event winners, outright ISDE champions, and many many more. Isn't it time for you to stand up on top of the box? Let SHR help you achieve that goal.